Now, isn’t that a cute little bundle of joy you have wrapped around in your arms! Look at its bouncy cheeks, sweet toothless smile, and adorable little baby fingers as it grasps your own. You’re a new parent now and you want nothing else in the world but to be able to give the best for this child. Here we have something that can help you get organized. 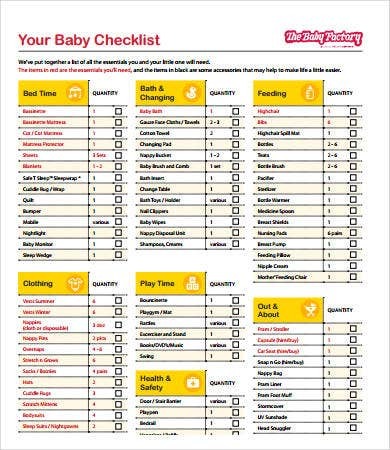 These checklist templates don’t only cater to those baby who have been born, these can also be used by to-be parents as well. From what to buy for the baby room to what to bring to the hospital as the wife goes to labor, we got you all covered. 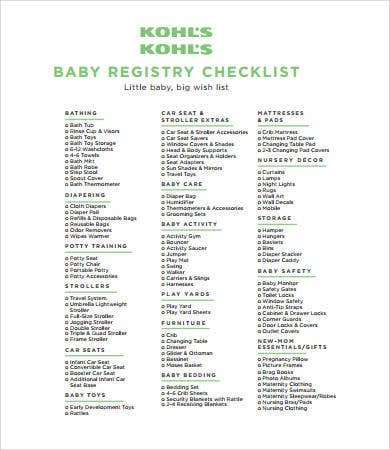 Baby Registry Checklist. You are on your way of making a family of your own. Everything has to be perfect before the little dumpling arrives, and everything has to be organized. 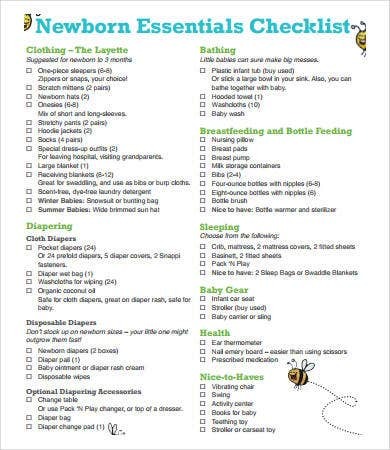 Keep this checklist on hand and surely you’ll have more supplies for your baby that you know what to do with. 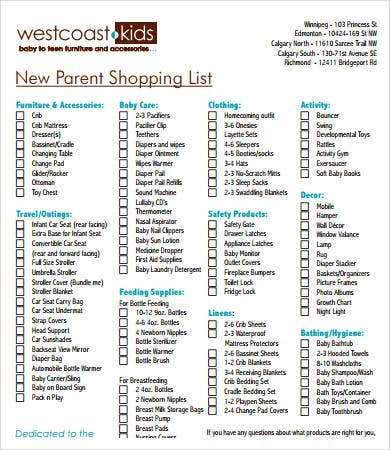 Our New Baby Shopping Checklist and New Baby Essentials Checklist do the trick as well. 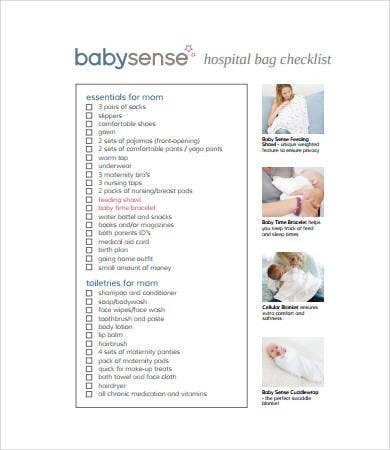 New Baby Hospital Checklist. Of course, being a new parent, you may not know what to bring when you’re on your way to the hospital. With this checklist, you can plan beforehand on what to bring so you won’t miss anything and avoid the tiring ride back home to retrieve the essentials. 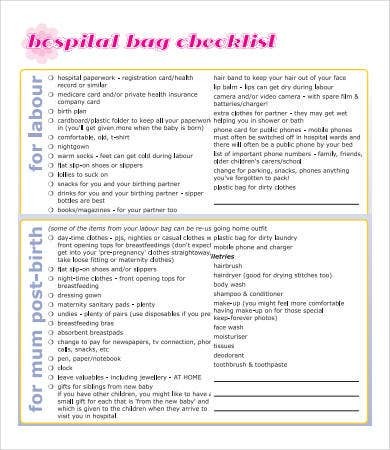 The New Baby Arrival Checklist and New Baby Hospital Bag Checklist do the same thing. 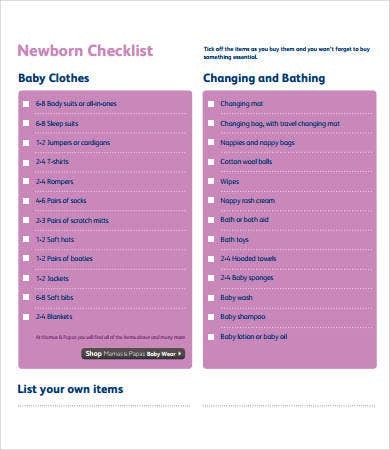 New Baby Clothes Checklist. A baby needs special clothing since its small, little body could not regulate properly its temperature to adapt to the environment. They get cold or warm very easily, so they need a coats or blankets to keep them warm. This checklist puts you on top of things, and the best part of all, you get to dress your little one with your own choice of colors and styles. 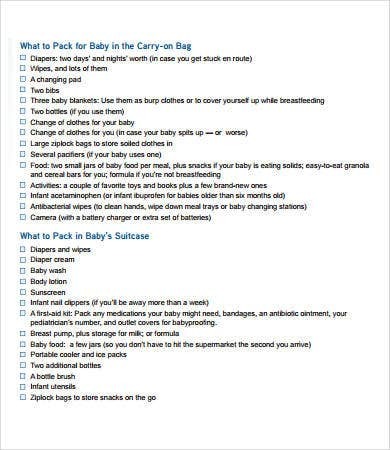 New Baby Packing Checklist. Now that you’ve got things under control at home, its always a fun idea to have an adventure and being an entire family on a trip makes it more fun! But traveling with a baby has never been easy. There are a lot of things you need to think about, so you need to be prepared. Using this checklist makes things easier. 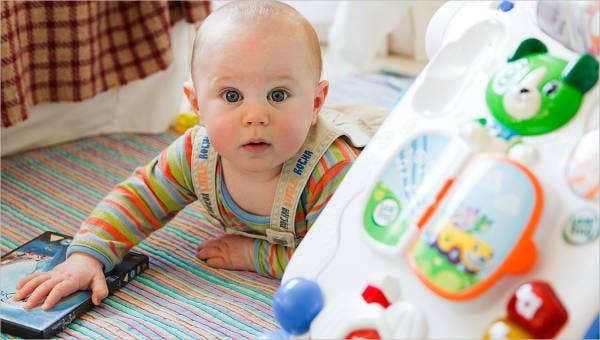 Also try our baby gift registry checklists to be able to know what kind of gifts to give to a new baby. Building your own family is hard, and having a baby is never easy, but with the help of all the checklists we have provided for you, you can be the top dog and be assured that you are doing the right things for the sake of your little one in an organized way. Because even though it takes a lot of sweat and energy to be able to keep your little baby happy, that contagious giggle and twinkle in their eyes always seem to be worth all of it. 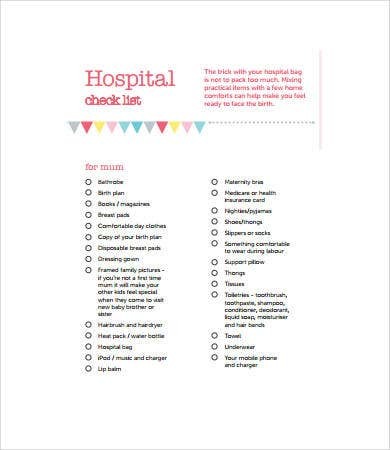 As with all our templates, these templates are available to download for free, so all you need to do is modify the checklists to suit your situation and print them out (or keep an electronic copy). You can also plan for the baby shower with our selection of baby shower registry checklist.